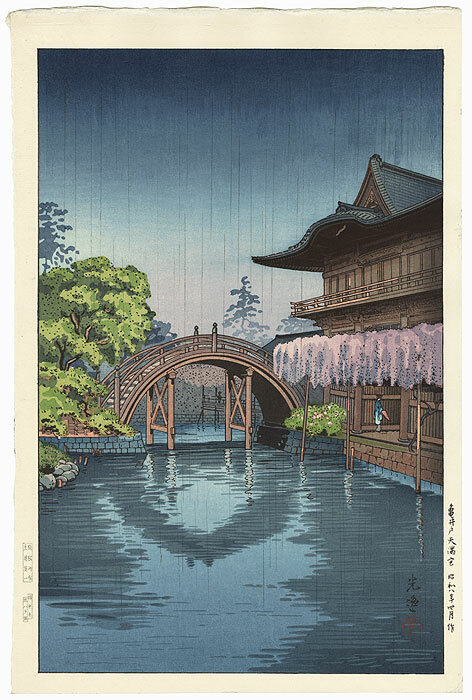 Comments - Lovely view of Kameido Tenmangu Shrine during a spring shower. 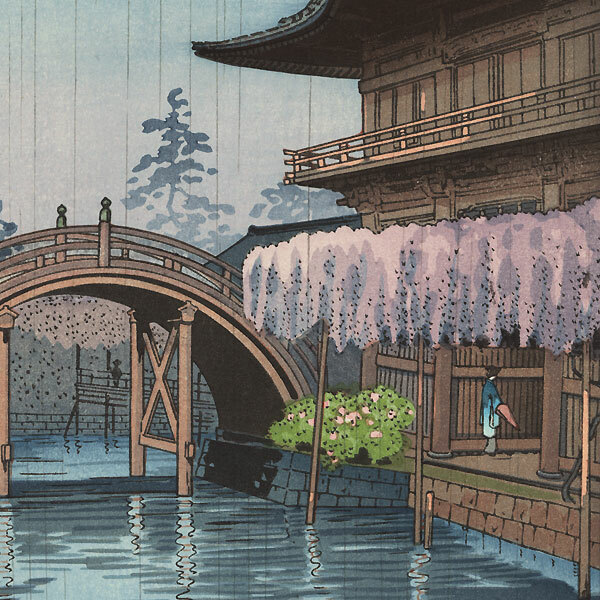 The famous Half Moon Bridge arches gracefully over the water, and lavender and pink wisteria hangs from the edge of an arbor at right where a woman can be seen entering the shrine. 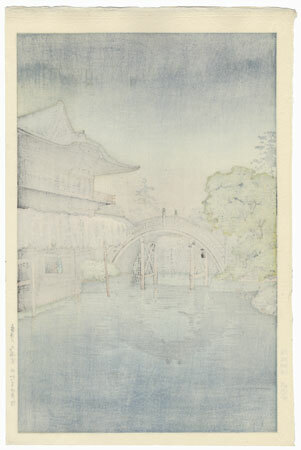 At attractive design with lovely color and fine bokashi shading in the sky.